In this wrap up: XXXX (creative appointment); Specsavers (new media pitch); Subaru (digital appointment); Palmolive (PR appointment); Cotton On Group (PR appointment); The Royal Hospital for Women Foundation (PR appointment), WWF-Australia (PR appointment), Riversdale Group (PR appointment). In this wrap up: XXXX (creative appointment); Specsavers (new media pitch); Subaru (digital appointment); Levi-Struss (new creative pitch); Palmolive (PR appointment); Cotton On Group (PR appointment); The Royal Hospital for Women Foundation (PR appointment), WWF-Australia (PR appointment), Riversdale Group (PR appointment). BMF’s illustrious 18 year relationship with XXXX is at an end with drinks manufacturer Lion moving creative duties for its flagship XXXX Gold brand to Host and the XXXX Summer Bright Lager to Ogilvy. The move by Lion consolidates another brand with Host which already handles Tooheys, Kirin, Little Creatures and White Rabbit. The win hands Host Australia’s biggest selling beer brand by volume and is likely to signal an end XXXX Gold’s long running strategy based around mates relaxing in remote locations. As part of the creative review, Ogilvy, which looks after the Hahn brand for the brewer, will handle the Summer Bright Lager brand. Gold was one of BMF’s foundation clients. Lion marketing director Ben Slocombe said moving XXXX had been a tough decision given the history of the brand with the agency. “This is not a decision we have taken lightly,” Slocombe said. He said it was time for a refresh for Gold and a new approach for Summer Bright. “During the pitch process Host presented fresh strategy work and demonstrated some terrific creative platforms to really take XXXX GOLD into the future,” he said. BMF had created some of Lion’s most popular ads. Along with the ads that centred on mates taking the piss out of each other and improvising solutions such as replacing a frypan with a wheelbarrow to cook a barra. BMF was also behind the launch of XXXX Gold’s summer beach cricket series. The Aussie blokes campaign became a mainstay of the brand, with the theme running for more than five years. The original beach dwelling received company in later ads when a group of besuited city slickers were shipwrecked on their Island. Advertising for the brand has also been heavily promotions driven with desert island holidays and overseas sporting trips supporting the mainstream marketing. BMF was also behind the launch of the now-defunct Tap King brand, bringing Lionel Richie to star in the ad with his hit song Hello. The agency has been slowly losing its grip on Lion business but continues to work with its Five Seeds cider brand which launched a new ad shot in Kiev this a week, as swell as James Squire and the platform campaign of Beer the Beautiful Truth. Perhaps BMF’s most lauded work for Lion was the Toohey’s Extra Dry Tongue ad more than a decade ago which helped to cement BMF’s relationship with the drinks company. Mediacom Melbourne is set to defend another of its clients with Specsavers pitching its media account in the market. The account last went out to pitch in 2013 in what many agencies at the time felt was more of a tyre kicking exercise from the client, which eventually opted to stick with Mediacom. However the circa $18m in main media spend will make it attractive pickings for many agencies in the market. Mediacom in Melbourne is still sweating on the outcome of the media tender from one of its biggest clients, Energy Australia, which called a media pitch in February. Meanwhile speculation continues to swirl over the CUB account with the company acquired by global giant AB Inbev at the end of last year as part of a global deal. Levis Strauss Australia has launched a search for a creative agency to handle a locally produced campaign for Australia and New Zealand for the first time on over a decade. The fashion brand has not got a local agency on retainer and has relied on global work coming out of San Francisco to market in Australia and New Zealand. Nicky Rowsell, marketing manager for Levis Strauss in Australia, said the company was no in discussions with a number of agencies with a view to the antipodean flavoured work coming to market in 2017. “For the last eight or more years all of our creative has come out of San Francisco,” Rowsell told Mumbrella. It is understood at least three creative agencies are already in discussions with Levis and the review is expected to run for several more weeks. Subaru has appointed Host as its digital and content partner with the agency tasked with an overhaul of the brand’s website, planned to roll out later this year. The brand’s existing agency relationships remain unchanged by this appointment. Personal-care brand Palmolive has appointed Dec PR as its strategic communications partner for a new premium line of products following a competitive pitch. The agency will lead the digital and print focused communications for the Australia and New Zealand launch. Dec PR commences work immediately. 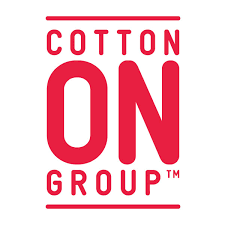 Communications agency WE Buchan has been appointed as the strategic communications partner of Cotton On Group following a competitive five-way pitch. The agency has been appointed to develop a global corporate affairs program. Lifestyle PR agency Stellar Concepts has added two not-for-profit organisations to its client portfolio: The Royal Hospital for Women Foundation and WWF-Australia. Stellar will be working with The Royal Hospital for Women Foundation on its 150 years celebration, with the agency tasked to highlight the important role the hospital plays in childbirth, pregnancy, fertility and general women’s health with support of high profile ambassadors such as Miranda Kerr, patients’ stories and major medical advances. For the third year Stellar Concepts will support WWF-Australia’s annual fundraising initiative ‘Wild Onesie Week’. The 2016 campaign calls on Aussies to take a walk on the wild side, donning an animal onesie while going about their daily business and raising funds for WWF-Australia’s vital conservation work. The agency has also been appointed by Riversdale Group to launch Moore Park Produce Market, a new produce focused market intent on showcasing fresh, seasonal produce and handmade food sourced directly from NSW and ACT farmers. The new market will open at the Entertainment Quarter at Fox Studios on Wednesday May 25, with top chef Matt Kemp enlisted as market curator. I have a funny feeling Mediacom will lose Specsavers, which will be huge for their Melbourne office.. Wouldn’t be sure where to go from there. “Ogilvy, with their youth credentials”….wow someone just said that! “Youth credentials” – in the business, Ogilvy is often referred to as ‘God’s waiting room’ or being ‘put out to pasture’.